As Principal of J Arnold & Associates, Jon is an independent research analyst providing thought leadership and go-to- market counsel with a focus on the business-level impact of disruptive communications technologies. Core areas of expertise include unified communications, cloud services, collaboration, Internet of Things, future of work, contact centers, customer experience, video, VoIP, and social media. He has been consulting in many of these areas since 2001, and his independent practice was founded in 2005. JAA is based in Toronto, Ontario, and serves clients across North America as well as in Europe. A current roster of clients can be viewed here on the website. Jon’s thought leadership can be followed on his widely-read Analyst 2.0 Blog, along with daily commentary on Twitter and LinkedIn. His thought leadership is also regularly published across the communications industry, including BCStrategies, Ziff Davis/Toolbox.com, TechTarget and Internet Telephony Magazine. Additionally, Jon is a BC Expert with BCStrategies, a long-serving Council Member with the Gerson Lehrman Group, speaks regularly at industry events and accepts public speaking invitations. He is frequently cited in both the trade press and mainstream business press, serves as an Advisor to emerging technology/telecom companies, and is a member of the U.S.-based SCTC, which recently absorbed the Canadian-based CTCA, of which Jon was also a member. In 2018, Jon was included in a listing of “Top 10 Telecoms Influencers”, and “TOP VoIP Bloggers to Follow”. Previously, in both March 2017 and January 2016, Jon was cited among the Top Analysts Covering the Contact Center Industry. 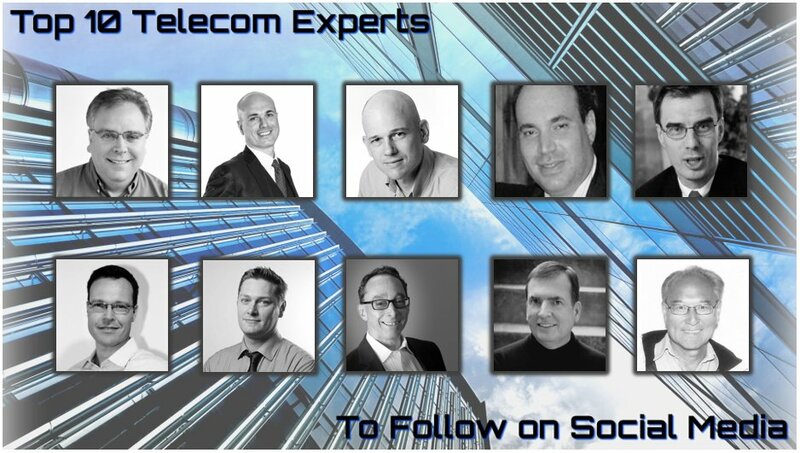 Also in 2017, Jon was been cited as a Top 10 Telecom Expert, and Six Business Communications Thought Leaders to Follow. Before that, GetVoIP.com named Jon a Top 50 UC Experts to Follow in 2015, as well as a Top 100 Tech Podcaster in 2014. For JAA’s blog, it was recognized as a Top Tech Blog in 2016 and 2015, and has had other similar accolades going back to 2008. Jon has also been actively involved in the smart grid sector since 2009. Seeing rich synergies between these two markets, he founded Intelligent Communications Partners, and in 2010 developed the highly-acclaimed Smart Grid Summit in partnership with TMC. This partnership also produced the Smart Grid Portal, where Jon’s continuous thought leadership built up a strong following that peaked at two million monthly page views. Since then, Jon has partnered with Zpryme Research, where he currently serves as both an Advisor to the company and as the Community Advocate for their flagship conference, the Energy Thought Summit. His ongoing thought leadership contributions in this space can be followed on the ETS16 website. Prior to branching out as an independent analyst in 2005, Jon was the VoIP Program Leader for four years at industry analyst firm Frost & Sullivan. While there, he was responsible for managing their subscription service for Global VoIP Equipment Markets, and through his active participation in the industry, he created a strong presence for the firm and an unprecedented profile in the media. Before Frost & Sullivan, Jon founded Research Solutions, an independent marketing research consultancy that operated for 15 years. During that time, Research Solutions conducted both qualitative and quantitative research projects for clients across a wide range of industries, including telecommunications, software, electronics, financial services, diagnostic equipment, transportation, energy, management training, trade publishing and professional associations.